Will it come or not…to the U.S.? We (we, the Alfisti among Italian Car Enthusiasts) are most likely craving something happening for the U.S. market and Alfa’s product portfolio. It has been too long that anything happened, considering that Alfa Romo’s 4C is around for almost a year now, delays after delays in regards to the Alfa Romeo Giulia launch…5 more products scheduled for 2018 now delayed until early 2020! 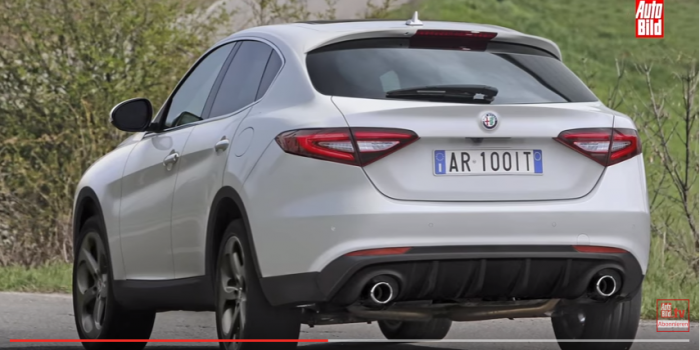 A kind of crossover / SUV competing with the BMW X1./X3, Audi Q3 and Mercedes-Benz GLA. It’s about time that Alfa is speeding up their planned releases otherwise it will be doomed with the same faith Lancia experienced of the last two decades. This video was released by the German Auto Magazine “Autobild“.